Albanian rescuer Refik Veseli holding the Jewish children he sheltered during the war. In the fall of 1943, Refik Veseli, a sixteen-year-old Albanian photography student, received permission from his parents to hide Mosa Mandil and his family, Jewish refugees from Yugoslavia, in the Veseli home in the mountain village of Kruja. There, from November 1943 until the liberation of Albania in October 1944, the Mandils received shelter and avoided deportation. During this time, the Mandil children lived openly as Muslim villagers while their parents remained hidden in a room in a barn. With the war’s end, the Mandils left Kruja and re-opened their photo studio in Novi Sad, Yugoslavia. Refik Veseli followed the family to Novi Sad where he completed his professional photography training, living with them until their emigration to Israel in 1948. In 1953 the state of Israel established Yad Vashem, the Holocaust Martyrs’ and Heroes’ Remembrance Authority, in order to document and record the history of the Jewish people during the Holocaust as well as to acknowledge the countless non-Jewish individuals who risked their lives to save Jews. Yad Vashem began to award the title “Righteous Among the Nations” in 1963, and since that time, over 22,000 rescuers from 44 countries have been acknowledged for their efforts. In acknowledgement of his risk and protection of the Mandil family, Refik Veseli was recognized as one of the Righteous in 1990. The following bibliography was compiled to guide readers to materials on rescuers that are in the Library’s collection. It is not meant to be exhaustive. Annotations are provided to help the user determine the item’s focus, and call numbers for the Museum’s Library are given in parentheses following each citation. Those unable to visit might be able to find these works in a nearby public library or acquire them through interlibrary loan. Follow the “Find in a library near you” link in each citation and enter your zip code at the Open WorldCat search screen. The results of that search indicate all libraries in your area that own that particular title. Talk to your local librarian for assistance. Examines the nature and functioning of altruism with emphasis on motivational factors such as psychological egoism, evolutionary biology, psychological, philosophical and religious backgrounds. Includes endnotes, a list of references, and an index. Explores the motivations of rescuers in relation to the rescue activities they undertook and analyzes the lives of individual rescuers in order to better understand their determination to take action. Contains an extended bibliography, endnotes, and an index. 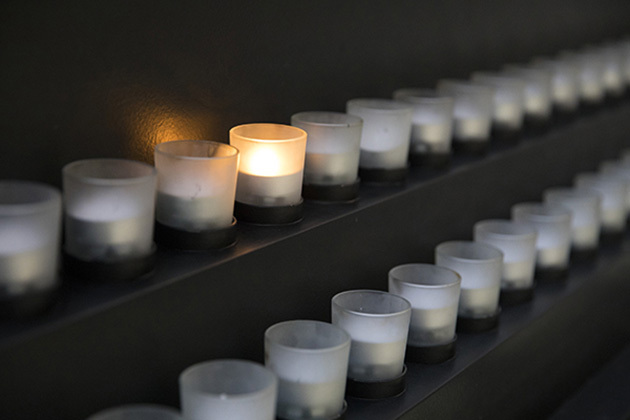 Presents instructional guidelines and discussion topics for educators who teach about rescue efforts during the Holocaust as well as the significance of Yad Vashem’s recognition program. Contains a thematic bibliography and a user’s guide to the manual. Discusses socialization, sociological variables, situational factors, personality traits, and motives of rescuers. Highlights the methodological concerns involved in conducting research on the rescuers. Includes endnotes. Analyzes the circumstances surrounding the Holocaust and the moral crossroads presented to non-Jews. Highlights the role of faith in rescue opportunities and draws a distinction between average and righteous Christians, exploring general Christian moral practice during horrific times. Includes lengthy endnotes, extensive bibliography, a general index, and an index of rescuers. Collected papers and proceedings of a 1974 conference. Contains a list of conference participants, table of contents and brief introduction, and an index; each chapter includes endnotes and a separate bibliography. Presents essays originally delivered at a 1989 conference organized as an outgrowth of the project directed by Samuel Oliner to study the capability of human beings to perform brave and altruistic actions. The project and conference presentations focused on individuals who were willing to help others, specifically Jews, during the Holocaust. Contains information on the contributors and an index; each essay has a bibliography and reference notes. Documents and analyzes the results of a project to study altruism and altruistic actions within the context of Holocaust history. Includes an extended bibliography, endnotes and appendices, sample questionnaires, research methodology and data tables, and an index. Anthology of essays that reflect upon the idea of rescue, rescue efforts in individual countries, and rescue efforts undertaken by individuals. Each essay includes a separate bibliography and a more extensive bibliography, a videography, and information about the contributors are provided at the end of the text. Presents biographical information on the individuals recognized as Righteous Among the Nations and, once complete, will serve as the definitive source for information on individual rescuers. Created by Yad Vashem and based on the archival materials related to the institution’s investigations and proclamations about the individuals, this work presents biographies of the rescuers organized by country of origin. Along with a uniform preface and general introduction, each volume presents a volume-specific historical introduction on the Holocaust in that country (including endnotes), a glossary of terms, bibliography, and index. Photographs are provided with some of the entries. Profiles four teenagers who risked their lives to save Jews during the war. Includes a glossary of terms, timeline of events, bibliography, videography, Web links, illustrations, and an index. From the series Teen Witnesses to the Holocaust, intended for teen readers. Collection of testimonies from Polish rescuers of Jews during the Holocaust. Features many primary source documents, including transcripts and translations of German ordinances concerning discrimination and extermination of the Jews, as well as statements and reports issued by the Polish underground movement. Profiles thirty-five Righteous Among the Nations from twenty-two countries. Includes contemporary and Holocaust-era illustrations and an index. Presents interviews with rescuers from ten countries (Belgium, France, Germany, Poland, Czechoslovakia, Hungary, Yugoslavia, the Netherlands, Bulgaria, and the Soviet Union) as well as historical information on rescue efforts in each country. Includes color photographs of the individuals profiled. Contains a bibliography and an index. Contains photographs and accounts of Albanian Muslims who sheltered and saved Jews during the Holocaust. Narrates the stories of multiple rescuers, highlighting the general obstacles and difficulties they encountered while saving Jews in different areas of Nazi-occupied Europe. Emphasizes the intensity of risks taken to save lives rather than focusing on individual biographies. Includes illustrations, maps, a bibliography, and extensive index. Features interviews conducted with the rescuer who saved the author from the Warsaw ghetto. Recounts conversations and discussions held with multiple survivors and their rescuers in the 1990s. Companion volume to the film Tzedek: Les Justes. Chronicles OSE rescue activities of children in occupied France. Reproduces personal accounts of survivors, photographs, and select primary source documents to demonstrate the variety of orphanages and child services engaged to rescue the children from deportation. Includes endnotes and an index; bilingual text in both English and French. 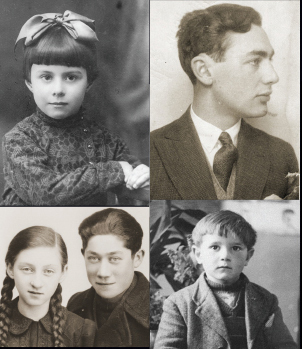 Recounts the stories of five individuals who risked their lives to save Jews during the Holocaust and were later recognized as Righteous Among the Nations. Collection of primary source documents translated into English that demonstrate Polish attempts to save Jews. Includes rescuer biographies and photographs of a tree-planting ceremony at Yad Vashem. Examines the stories of seven Righteous Gentiles and ten of the people they saved in light of the Altruistic Personality Project undertaken by Samuel and Pearl Oliner. Includes recommendations for further reading, an appendix of places, events and terms in the text, a chronology, and an index. Knud Dyby, a Danish policeman, assisted the operation to smuggle the Danish Jews to Sweden using fishing boats. Because of their solidarity in risk and actions, Dyby and the entire Danish resistance movement were collectively recognized by Yad Vashem for their efforts. Includes photographs, a bibliography, and an index. Chronicles the stories of ten rescuers whose actions helped thousands escape Nazi persecution during the Holocaust. Part of the Collective Biographies series. Includes illustrations, a bibliography, and an index. Intended for teen readers. Recounts the stories of numerous individuals who defied the Nazis in order to rescue Jews during the Holocaust. Includes maps, a bibliography, and an index. Intended for teen readers. Profiles 29 diplomats recognized as Righteous Among the Nations for their efforts to rescue Jews. Includes a bibliography, endnotes, and an index. Draws on Yad Vashem’s archival collections and Paldiel’s personal experience as the former director of the Righteous Among the Nations Program to detail rescue across different regions of Nazi dominated Europe. Recounts the stories of hundreds of rescuers and the lives they saved, clustered into chapters about each country. Includes illustrations, an appendix of popular motivations for assisting Jews, recommendations for further reading, a bibliography, and an extensive index. Highlights 150 individuals honored by Yad Vashem for their rescue activities. Includes a history of the program, an index of rescuers, the rescued, and place names mentioned, a list of rescuers by country of origin, and a bibliography. Profiles over fifty rescuers and their efforts to rescue or hide individuals and families during the Holocaust. Also discusses rescuers who assisted Jews but were denied the title of Righteous Among the Nations. Includes index of names, endnotes, bibliography, and appendices on Jewish rescuers, Belgian rescuers of children, and unknown or anonymous rescuers. Draws on archival material at Yad Vashem to present examples of rescue attempts and operations based on the techniques that were employed: hiding, movement of people across borders, passing individuals as Gentiles, and rescuing children. Addresses the significance of the sacrifices and risks accepted by the rescuers in breaking with standard norms and highlights the uniqueness, bravery and responsibility of rescuers in decision making. Contains photographs, bibliography, endnotes, and an index. Presents autobiographical accounts of fifteen rescuers as well as a section on the rescue efforts undertaken in the French village of Le Chambon-sur-Lignon. Elie Wiesel, Shlomo Breznitz, and Moshe Bejski reflect on the significance of rescue and the Righteous. Includes index, photographs and reproductions of identity cards and false papers. Companion volume to the film Courage to Care. Recounts the varied experiences and anecdotes of rescuers through brief passages and sidebars that accompany the text. Includes a bibliography, suggested readings, endnotes, illustrations, chronology of events, and an index. Part of The Holocaust Library series. Intended for teen readers. Presents the stories of forty individuals who, due to their extraordinary efforts, courage, and daring rescued hundreds of Jews, and were later recognized as Righteous Among the Nations. Contains illustrations, a bibliography, endnotes, and an index. Compiles 16 stories of rescue in Poland during the Holocaust. Discusses motivations for assistance as well as hardships of hiding. Includes a chronology, information on the designation, “Righteous Among the Nations,” endnotes, a bibliography, discussion questions for each of the accounts, and an index. Utilizes firsthand accounts to describe interactions between Polish Jews and the individuals who helped rescue them. Includes a bibliography and an index. Presents the stories of the thirty-seven Swiss citizens recognized as Righteous Among the Nations as supported by eyewitness accounts and testimonials. Includes illustrations and a bibliography. Describes the life and activities of Cecilia Razovsky, a Jewish American social worker who coordinated rescue operations of the National Council of Jewish Women. Includes extensive notes, index, chronology, and bibliography. Recounts the stories of and includes material from interviews with six teenage rescuers recognized as Righteous Among the Nations. Provides a map depicting countries, cities and other locations mentioned in the text. Intended for teen readers. Presents interviews and first-hand accounts of rescue efforts by individuals in the French town of Le Chambon-sur-Lignon. Includes commentary by Elie Wiesel. See also the companion guide to this work. Profiles the lives and experiences of four diplomats who risked their lives and careers to assist Jews to escape the Holocaust. Discusses Aristides de Sousa Mendes (Portugal), Harry Bingham IV (USA), Carl Lutz (Switzerland), and Georg Ferdinand Duckwitz (Germany). Honors rescuers who risked their lives to save Jews. Includes footage of the Yad Vashem complex and the trees planted by the Righteous. Features interviews conducted in the 1990s with rescuers and survivors from various countries, prompted by the author’s desire to discover the fate of the person who rescued him from the Warsaw ghetto. See also the companion guide to this work. Details the Italian Army’s internment of Jews as an alternative to deportations to death camps. Describes how various Italian officials prevented the deportation of some 40,000 Jews in Italian occupied France, Greece, and Yugoslavia, in defiance of Mussolini and government orders. Discusses rescue efforts by international Jewish organizations, the Kindertransport, escape through Asia, ransom attempts and the rescue of rabbis. Presents information on the range of diverse rescue activities in Europe and the United States, including government committees, formal resistance, as well as rescue attempts by individuals. Presents historical information, a database of all those recognized by the program, brief accounts of individual rescuers, and details about the recognition process. Ask at the reference desk to see the following subject files for newspaper and periodical articles.